I want to make a list that contains basic info about Yunit because it's very interesting. 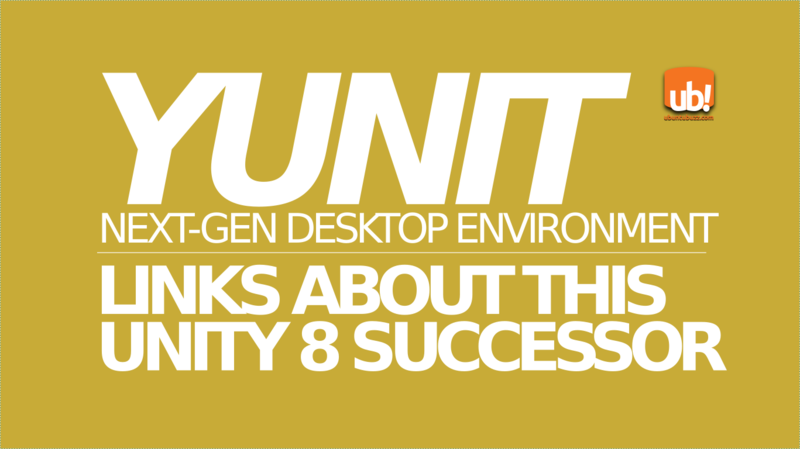 Yunit is a continuation of Unity 8, the awesome (but recently being abandoned) next-gen desktop environment of Ubuntu, developed to keep Unity 8 alive. You can view 'Yunit towards Unity 8' as MATE continues GNOME 2. This short article has some links starting from Yunit's website, source code, until its social media. If you want to contribute to Yunit, I hope this article helps you. I write this on May 7-18th 2017 and the project is still under construction. 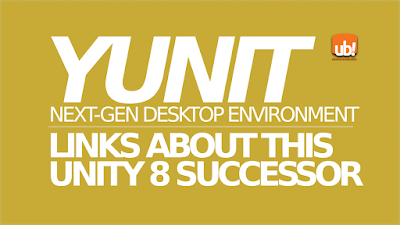 The cause of Yunit Project is Mark Shuttleworth's decision to cease Unity 8 (link). Yunit will migrate from Mir to Wayland (link). Yunit still has no official logo (as per May 18th 2017). Yunit Project is not endorsed by or affiliated with Canonical or Ubuntu Project.